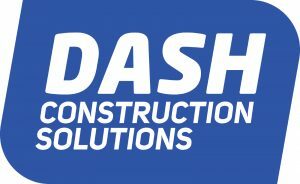 Dash Construction Solutions stand by their promise to deliver high-quality and reliable trades and labour staff. They believe in sourcing the best tradies and labourers to provide their clients the leading results, because they know and value the importance of having the right people on-site. Director, David Rolleston, has over 20 years’ experience in the recruitment industry with blue-chip agencies building labour hire solutions, before starting Dash Construction Solutions with 3 other Partners in 2018. When Dash Construction Solutions was started, David was determined to make all the necessary investments in location, staff and software from the outset, and set the business up for success. “As a minimum, by the end of 2019, we want to have a business that is double what we had at the end of 2018,” said David. David has a strong five-year vision of what Dash Construction Solutions can achieve, with double-digit staff in Melbourne and a fully operational office in Sydney, as well as expanding on their recently launched permanent staffing division. “We want scalability of revenue where we can have three to five times as many contractors and won’t need a payroll team that is three to four times bigger than what we’ve currently got." Not only did David want the best team at Dash, but he also wanted to give his staff the best tools they needed to be successful, and ultimately drive the growth and scalability he knows the business can achieve. David’s key criteria in selecting recruitment software to run their business was efficiency. He wanted one solution to manage the whole recruitment process, from finding candidates to invoicing clients. “I wanted one system to put in pay rates and charge rates once, where each year that info would easily flow through the whole database. And the same goes for entering in candidate details” said David. To choose the right recruitment software, the Directors at Dash used their staff’s previous experiences, as well as online searches and identified which systems their key competitors use as the key reference points. With a shortlist of systems, they then evaluated them across a range of criteria including cost, functionality, scalability and growth. When selecting recruitment software, David’s financial goal was to have an efficient system that was better at managing 200 contractors than he had paid for previously throughout his 21 years in the recruitment industry, taking into consideration his marginal revenue, operational costs and implementation costs. Whilst most new businesses are conservative with spend on their first software, David took a different approach. “Spend the money upfront. Don’t reinvent yourself and spend more money in 12-18 months. The best advice I got from an industry stalwart who has successfully launched four recruitment firms is that you’re better to invest in a good CRM rather than use excel”. “We mainly chose FastTrack because of the end-to-end nature of it. That, and I know there’s five to six major large competitors in Australia that are all using it, and I aspire to be their size” said David. David also didn’t want to wait for a one-to-two-year lead time on a bespoke system that they would have to build themselves. “Using FastTrack360, the time it takes us to run payroll has been halved, and there’s still more time savings that we can achieve”, said David. “Our debtor days are also way better than our previous business”. “If you want to run a business that is scalable and sizeable, FastTrack360 is worth the money”.